Fall in Central Texas is really, really...not that different from the other three seasons. Most of the trees don't change colors, but the daily temperatures fall from "Melt Everything" down to a balmy "Reasonably Warm". If you did not have access to a calendar it would be December, and you wouldn't even know it. But there are some things that definitely delineate the fall season in the Lone Star State from any other time of year. While driving to work this morning, I realized that it’s Mum season. 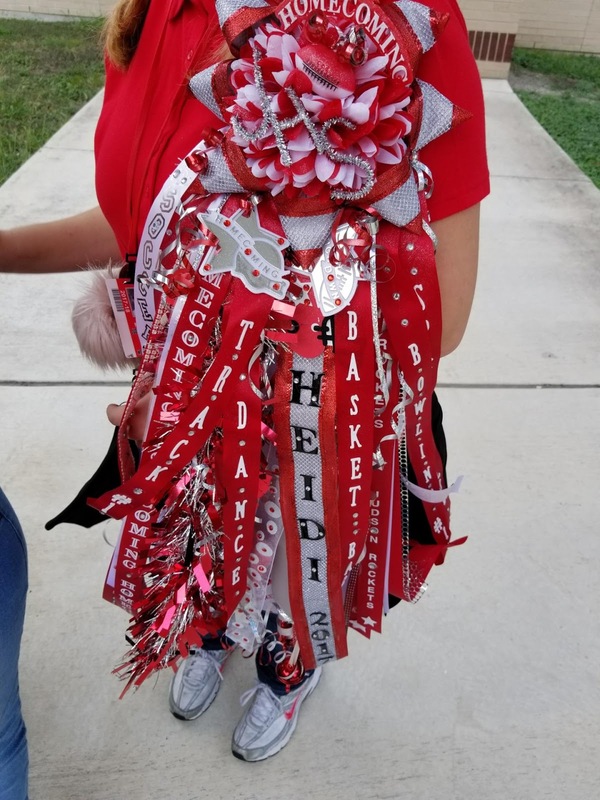 At high schools throughout the state, millions of highly decorated mums show up on the chests and sleeves of middle and high school students. A few colleges, too. Since I did not attend high school in the Lone Star state, I can only stare with bemusement. It’s a big deal on the social calendar in Texas. It is also a big deal for florists, crafty moms, and the local economy. The weeks before the big Homecoming game, little roadside booths seem to rise up out of the ground like weeds, filled with brightly colored silk flowers and ribbons, in a variety of styles. Just about every single girl comes to school wearing at least one mum. If they don't have a boyfriend, their parents chip in for one, so their daughter won't be a social pariah. 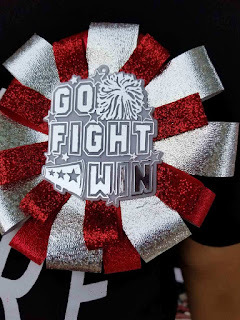 The more popular girls may have their entire front covered with flowers, ribbons displaying school colors, tiny bells and other glorious fanfare. How on earth some of these girls can stand upright is a mystery. Even the boys participate, wearing smaller versions on their arms with pride. Mums are worn all day the Friday before the Homecoming game. Then worn to the games. Some wear their mums to the Homecoming dance, because their parents had a fit about the cost. Some go really fancy and wear an entirely different mum to the dance. And after the day, the game, the dance? The flowers die, and the ribbons get put away in the back of the closet or hung from the bedroom mirror. It's time to put away childish things, and focus on life, not frivolity. At least until the next Mum Season. And to think that mum season up here just means some flowers in pots or the ground! Wow!